Glass pocket doors are suitable for rooms with a small amount of space and this is also the reason for which they are increasingly popular. Where space is tight, this type of doors is able to save around 10 square feet of floor space. Moreover, they offer a modern, elegant and classic design that cannot be overlooked. These doors are sold as pre-assembled units, together with the sliding system and handles. Glass pocket doors UK are used as dividers to extend the area of a room, as they allow a space to be completely open or completely isolated. Glass pocket doors easily let natural light to enter the whole room, by creating an ambient atmosphere. Also, they create open space even in crowded or small rooms, which makes them very practical. A pocket door simply slides away into a frame in the wall, freeing up a great deal more of the room and opening up the design possibilities. For pocket sliding glass doors with a frame, the wall will be completed with a frame and architrave of the chosen finish. The frame comes as standard for wall depths of 140mm up to 450mm and even thicker to 900mm and the architraves suitable for this system have a depth of 50mm, 60mm or 70mm, depending on the finish. 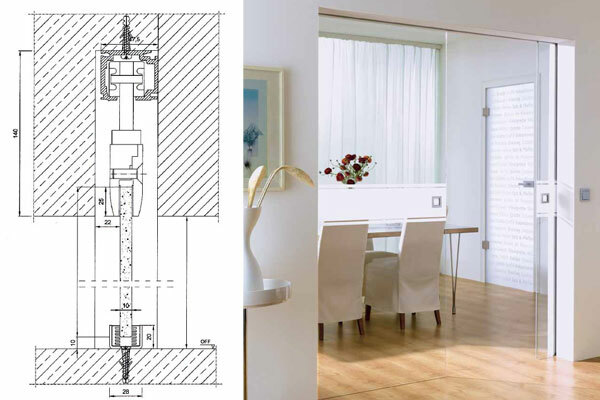 For prices of glass pocket doors with frame and different wall thickness or sizes of architraves, please contact us. Doors4UK have installed more than 1000 smooth operating sliding pocket doors in the last 7 years with many customers being delighted. 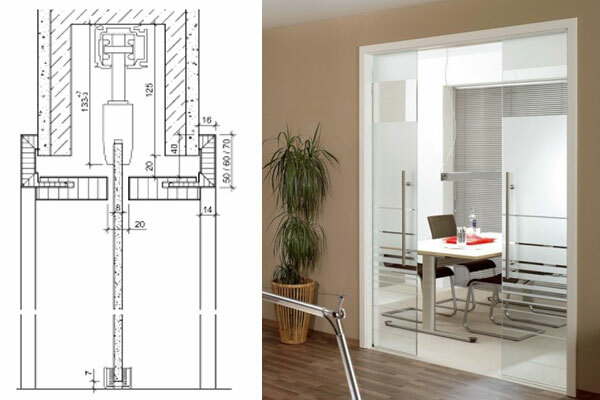 Glass pocket doors are planned to slide away on the partition hollow space taking up virtually no space on the floor plus without the need of space to swing out and open similar to a usual hinged door. The fact that entails minimum space makes a pocket door an ideal decision for entry into the room in which the lack of space is an issue. Two glass pocket doors can be used to create an imposing entry into a dining room or parlour. A pocket door is certainly a system which includes hardware and special frame, that is bought apart from the door. The door can be any flat surface or panelled hollow or solid door, so it is a style that can be matched to other doors in a dwelling. From the start of the project, the Sales Consultant was very helpful and gave lots of a advice. The two Fitters were excellent and would not leave until the job was completed entirely to their satisfaction and ours, and they left the site clean and tidy. We are extremely pleased with the result. Thank you, Mrs. and Mr. H.
The Contract Manager came and measured up and was very helpful. We have now got used to our glass sliding doors and are very pleased with them. I believe the installers took some photos of sliding door when they finished the installation, if you want any more please let me know. The glazed doors fitted are the top most quality, very impressed with the finish. The product is excellent too. The sales team helped us deciding the doors, frames and hardware which came with the excellent fitting service. You all have deep product knowledge too. Definitely, I will recommend. Doors4UK is able to manufacture extra wide and tall doors up to 1235mm in width and 2485mm in height. 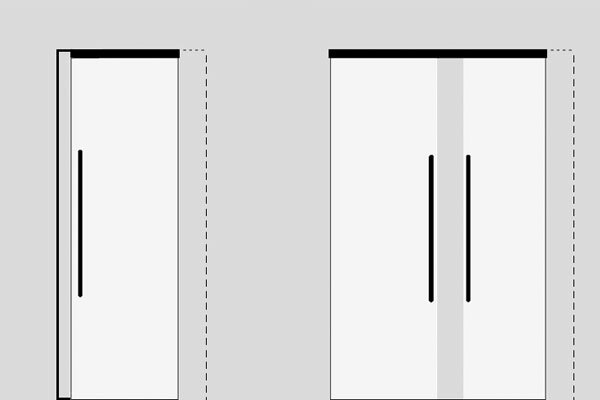 More than that, even wider doors (up to 2400mm) can be manufactured from two door leaves connected on site. Therefore, for those dimensions, the scale of the house is important, as extra wide and tall doors would look silly in a small apartment.